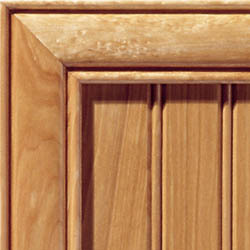 Beaded panels provide either a single or double groove routed into the panel of a door. We offer a variety of doors that come standard with a beaded panel but many of our door styles can be upgraded with an optional beaded panel. Some beaded grooves have a rounded edge for a softer appearance while others have a more angular, straight edge. Beaded panels are available in our Wood, MDF, and Deco-form product lines.